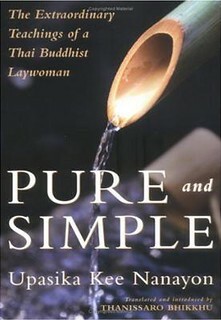 ← Ajahn Punnadhammo’s book is now available at Amazon! The goal of the Abhayadana Meditation Society is to learn the teachings of the Buddha as they are recorded in the Pāli Canon and put them into practice. Our practice includes chanting, silent meditation (30-45 minutes), reading from the Pāli Canon, and a metta practice. The Buddha taught that the giving of fearlessness (abhayadana) is one of the greatest gifts that anyone can give to others. Giving fearlessness means giving the gift of space in which others who are also learning the teachings of the Buddha and putting them into practice can feel trust, warmness, and tolerance. Lotus Light Community Center’s address is 501 Arthur Street. There is no charge for attending our meetings. Donations that are freely given may be given to LSLK (there’s a donation box in the shrine room, or click here), Milarepa Ösel Chö Dzong (click here), Arrow River Forest Hermitage (click here), Abhayagiri Buddhist Monastery (click here), or any organization that provides spiritual support and guidance. you create a good world in which to live.